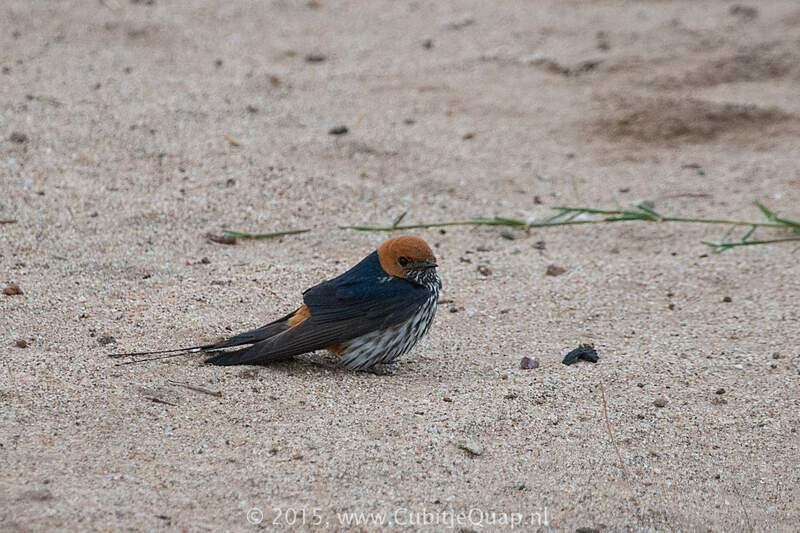 Darker than greater striped swallow, with heavy black striping on the white underparts. 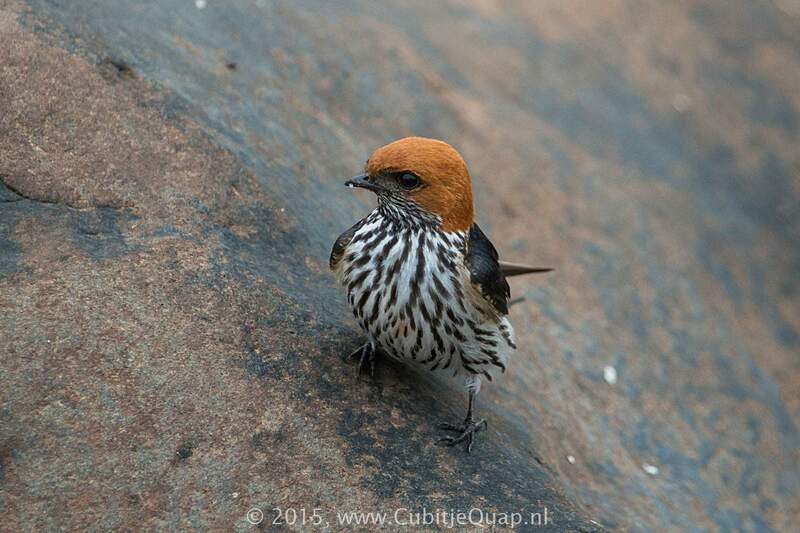 The rufous rump extends onto the sides of the vent and the ear coverts are orange. Female has shorter outer tail feathers. 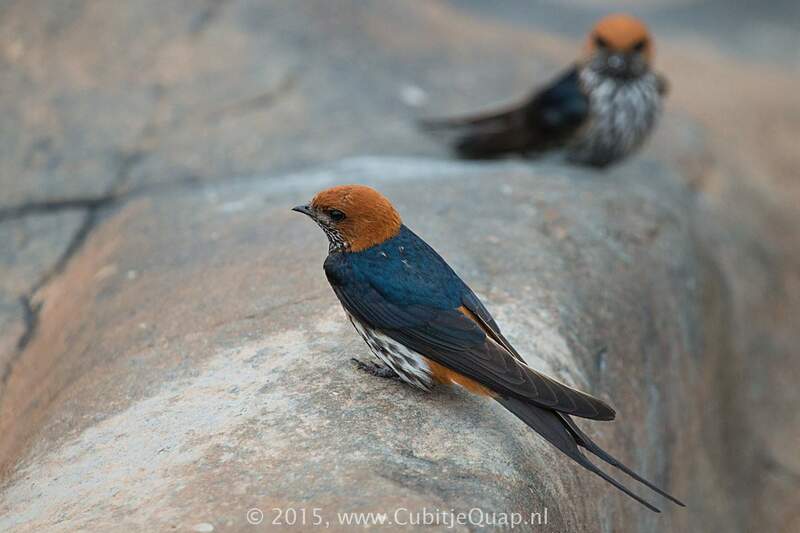 Juvenile has less blue-black gloss above than adult, and a brown (not rufous) crown. Usually near water; frequently perches. A descending series of squeaky, nasal 'zeh-zeh-zeh.-zeh' notes.